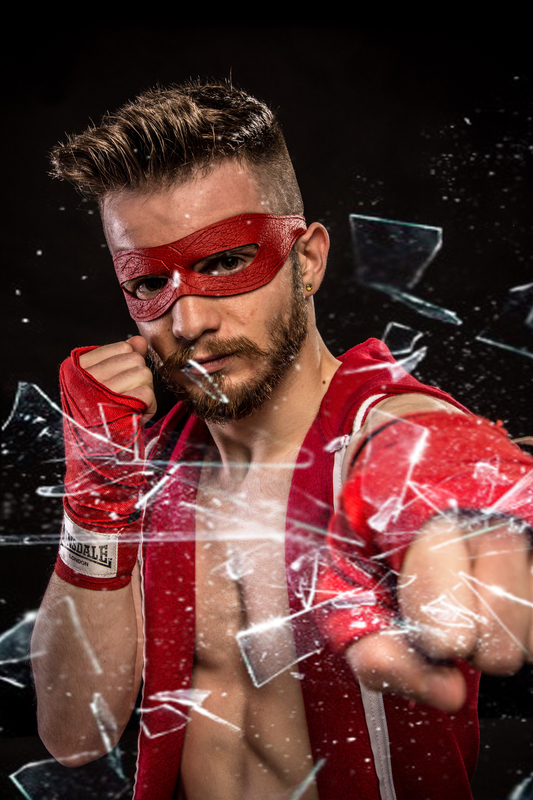 Don’t judge me but I decided to have a bit of a play with a recent studio shot of poet-by-day boxer-by-night Matt “Man” Windle by adding some smashing glass. That’s glass that is smashing, not really great glass…. You know what I mean. I kinda like it.